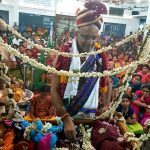 On the auspicious occasion of Sri Kanyakumari Jaya Hanumanji’s 4th annual Pradhishta Dina, Sri Swamiji was fondly reminiscing the wonderful darshans of Hanumanji present in various temples in India. 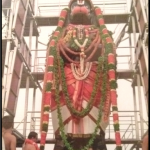 “We have our Kanyakumari Sri Jaya Hanumanji in Madhurapuri. There is also a huge Hanuman in Nanganallur. On the way to Pondicherry, in a place called Panchavati, there is another big Anjaneya Swamy. In Cuddalore, there is Sanjeevani Hanuman and who can forget the old and the beautiful Anjaneya Swamys at Sucheendram and Namakkal. “Hanumanji with five faces (‘Pancha Mukha Hanuman’) can be relished in Ananthamangalam and also near Manthralayam and one more in Ulagalantha Perumal Temple, Kanchipuram. 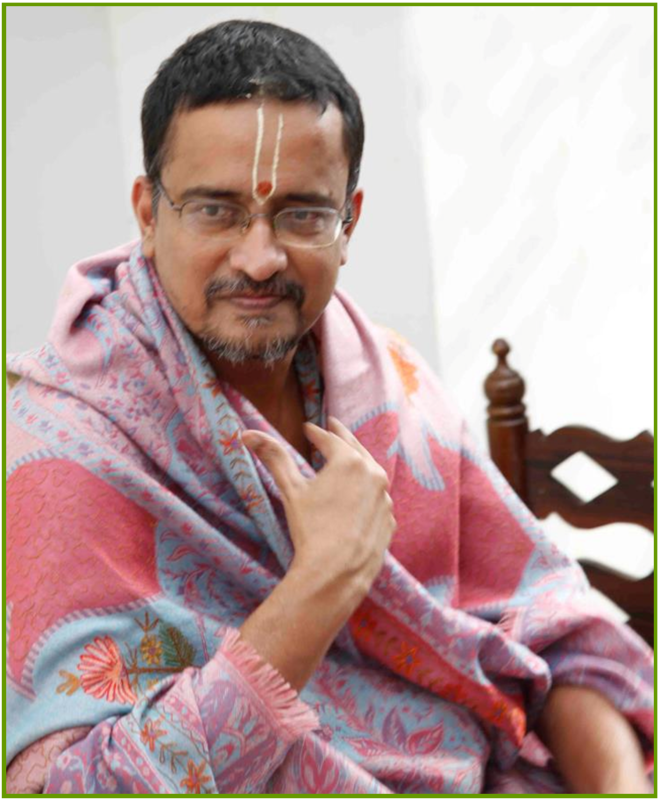 “In Govindapuram, next to Sri Bhagavan Nama Bodhendra Saraswati Swamigal’s Brindavanam, we have Sri Bhagavata Anjaneyar. Sundara Anjanyear is blessing thousands of devotees in Kalkere village, Bengaluru. 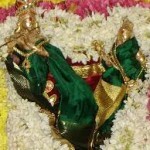 “In Dhaarapuram, there is a lovely Hanumanji consecrated by Sri Vyaasaraya of Madhva Sampradaya. This powerful Hanuman attracts devotees from all over the world. The Hanumanji in Srirangam temple is also believed to have been installed by Sri Vyasaraya. In Udupi, the Hanumanji installed by Sri Vadirayar is believed to be from the Ram Parivar of Ayodhya itself. In Thanjavur, the Moola Anjaneya is very famous and to this day, many musical scholars perform concerts to please this Anjaneya. 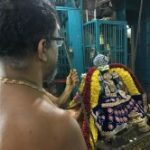 “Near Chennai Sanskrit College, there is a ‘Thanneer Thotti Hanumanji’ and Hanumanji is also present at the Luz Church Road Complex who also attracts a lot of devotees. 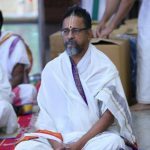 “Sholingur has a Yoga Anjaneyar and Tirupparayaar where we performed Ramayana Navaha, is the very spot where Hanumanji conveyed the news about Sita Mata to Ramachandra Prabhu.